Director John Carpenter had one brilliant moneymaker to his name (Halloween) and a couple of uncompromising triumphs on the horizon (his gory 1982 remake of The Thing; 1988’s paranoid They Live) when he settled into burned-out East St. Louis—passing for future Manhattan—to make a dystopian adventure. And yet, to many fans who love the filmmaker’s tinkling synth scores, his impeccable widescreen compositions and libertarian wink, this Kurt Russell action flick occupies the sweet spot. For good reason too: The pleasures are right in your face, beginning with the million-dollar idea of turning NYC into a walled-off prison where criminals run free. Even born-and-raised New Yorkers (of which Carpenter was decidedly not) could smile at that histrionic setup; it’s an outsider’s joke made funny by our willingness to be entertained. 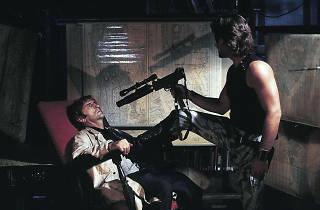 Return to the movie now (IFC Center’s digital transfer, crisp yet faithfully cruddy, is worth it) and Escape from New York works a lot more suggestively than you remember. It feels perfectly positioned between Hollywood’s ’70s-era political cynicism and the dawning age of the blockbuster. (Far down in the credits, “Jim Cameron” is listed as a matte painter.) The movie proudly wears its affection for crusty Sergio Leone archetypes and countdown-clock suspense sequences; Carpenter was Tarantino long before Tarantino was. There’s an unintentionally brutal moment when a hijacked plane barrels into Battery Park, but the film mostly occupies the space of a free-floating dream, the kind you enjoy being in, one you think you can survive if you make the right moves. This was once someone’s notion of a summer movie. 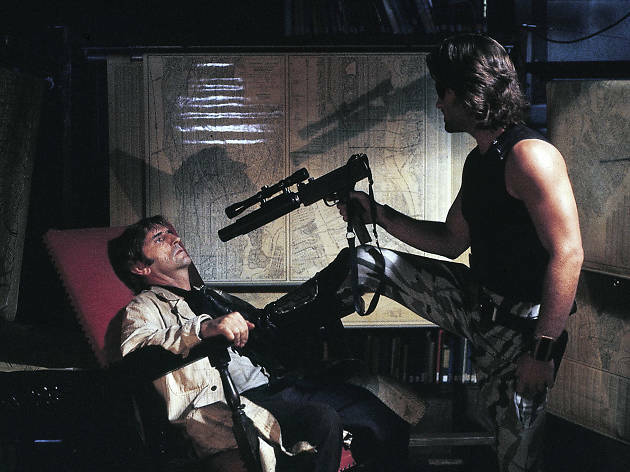 We’ll take Carpenter’s darkened city—and Snake Plissken’s attitude—over generic bigness any day.